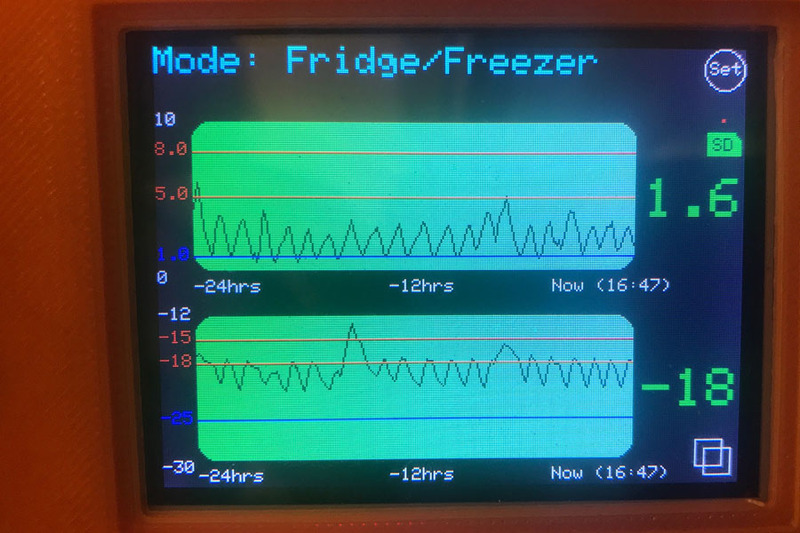 Aimed at small to medium size hospitality and care businesses, this fantastic custom temperature monitor is designed to do everything you need to monitor your critical temperatures in a commercial kitchen and other business environments, for example care home medicine rooms. 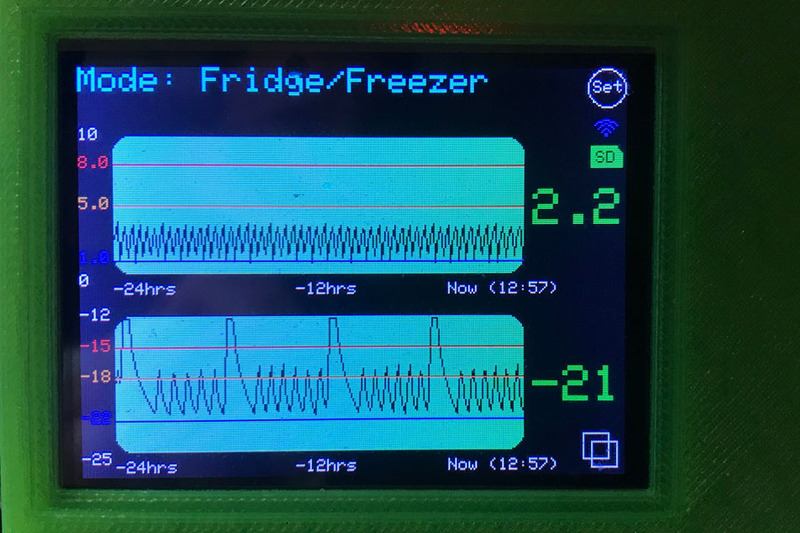 It comes with preconfigured profiles for measuring temperatures of fridges and freezers but also has profiles to measure the temperature of chillers, cellars, and medicine rooms or cabinets. It is fully configurable so you can modify the built-in temperature profiles to exactly suit your requirements. The probes used are waterproof, intelligent and highly reliable and shouldn't need calibration, however can be calibrated if required. 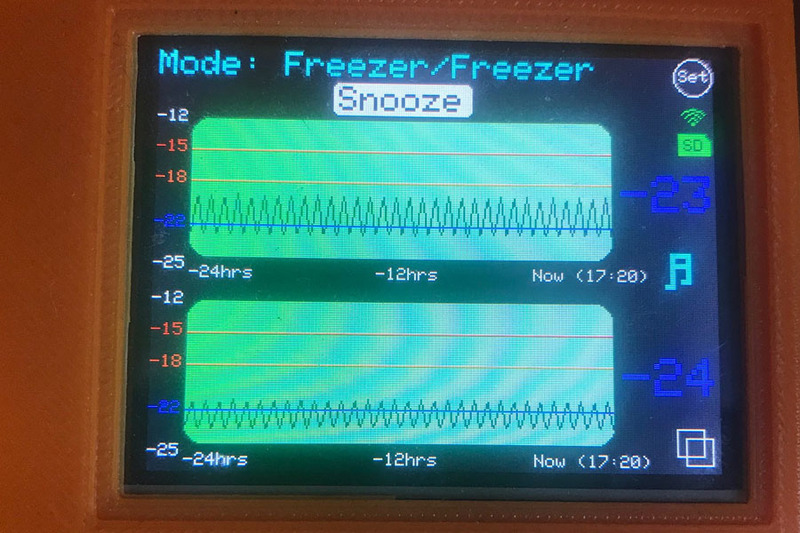 Each device supports up to two probes and has a touch sensitive screen which by default displays a 24 hour graph immediately giving you a visible representation of chiller function. 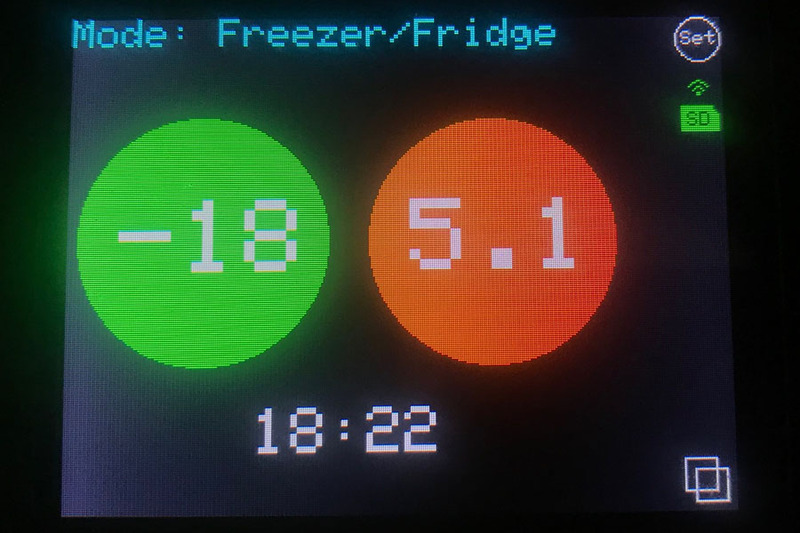 For kitchen use a large "traffic light" temperature display is also available at the touch of a button. The device will watch for high and low temperature situations and also is intelligent enough to work out when it thinks there is a sustained defrost or over-temperature problem as opposed to the natural cycling of the equipment. As well as audible temperature warnings (which may be readily silenced or snoozed during for example restaurant service), the system can email you warnings, alerts and critical events as well as confirmations when things have returned to normal. The device can also be remote viewed over your wifi network by web browser. 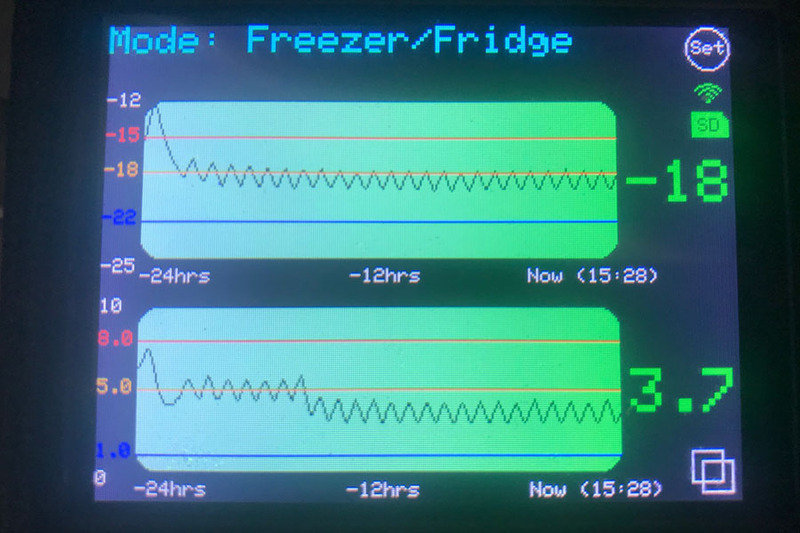 The temperature monitor will automatically log temperatures to its own SD memory card and these can be downloaded on a regular basis using a web browser or the card removed periodically to download directly to a PC and into a spreadsheet - ideal for when the Environmental Health Officer visits! There is a version of the temperature monitor with its own mobile SIM card that will send you text alerts - ideal if you are using it out and about with a hospitality trailer or refrigerated van. 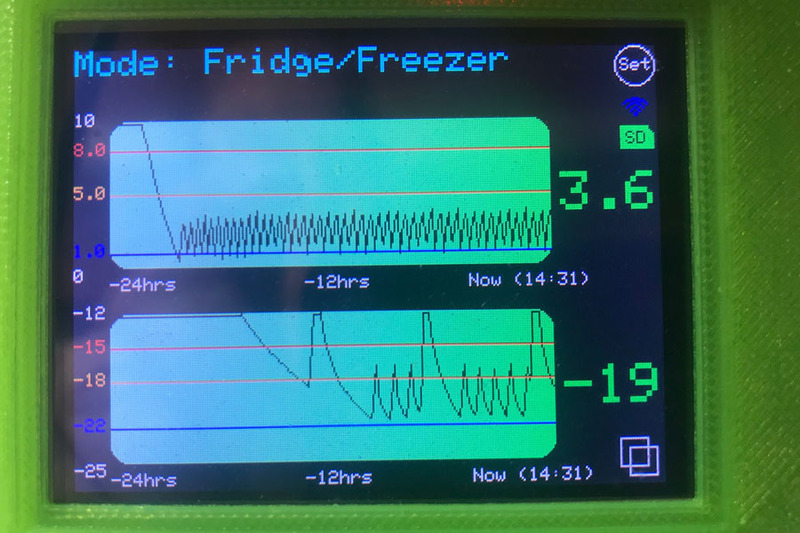 There is also a version with wireless probe relay - useful if you want the main unit indoors but have fridges or freezers in an outbuilding. 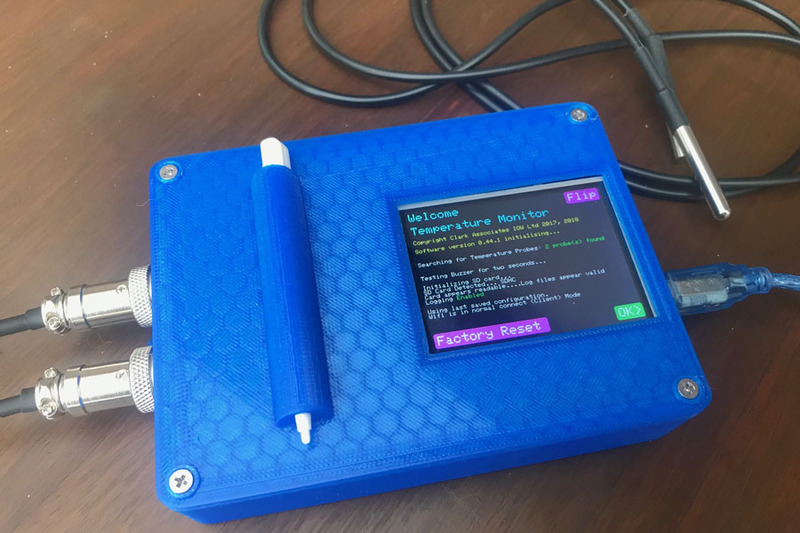 For more technical users the device can connect to IFTTT and Dweet to enable the live data and events to be exported and analysed and multiple devices can even be grouped to provide dashboards. Each device is made in a custom 3D printed case (normally in blue available "ex stock", but if you want a special colour, just name it!) and can be delivered and set up in person if you are on the Isle of Wight. 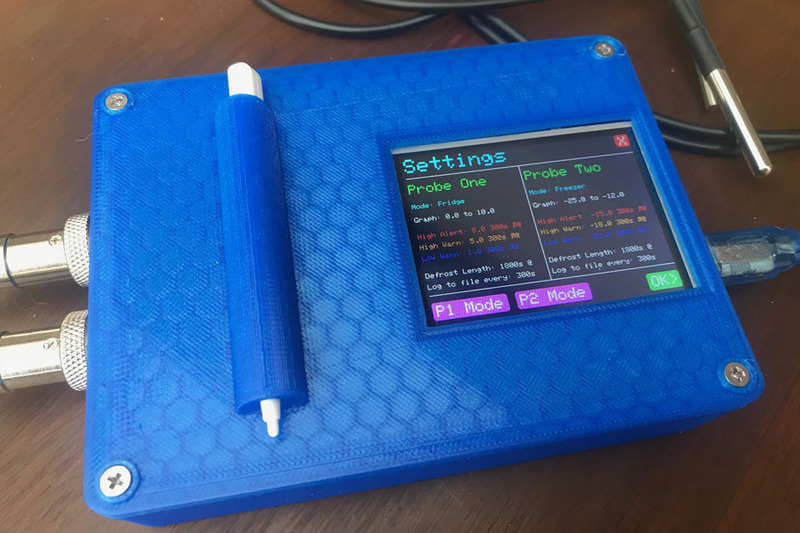 The cases come with holes for wall mounting and magnets to stick on metal surfaces, and the screen can be flipped upside down to better suit power and probe cable directions. Prices start at £175 for a basic model with 1x intelligent 1m probe (supply your own micro SD card). Remember these are one time costs - there is no expensive add-on software or monitoring service to pay for - the device itself does all the alerting, plus data files can be read straight into Microsoft Excel and other spreadsheet programs and you can link to countless applications via Dweet and IFTTT. SPECIAL INTRODUCTORY OFFER: 25% off the above prices. Presently only available to Isle of Wight Customers during the "Early adopter" period. To buy one or find out more Contact Us. 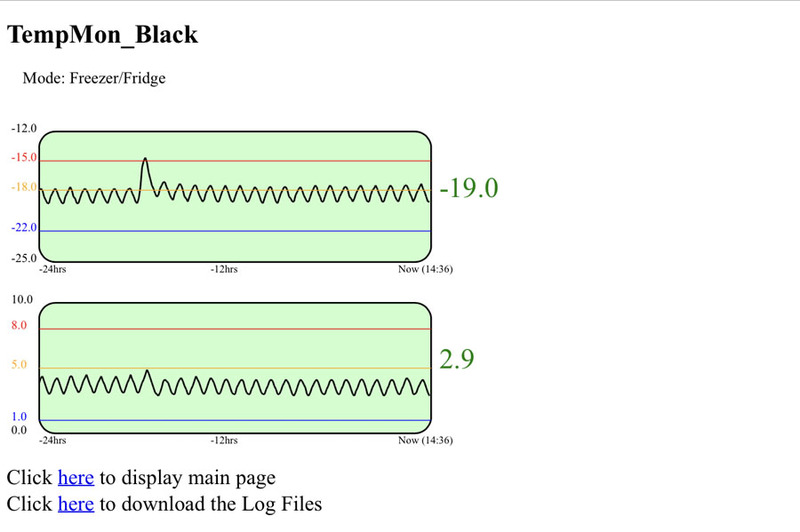 You can also Download the Temperature Monitor PDF manual.